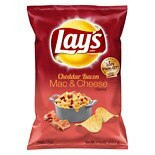 Shop Lay's Potato Chips Bacon Mac & Cheese (7.75 oz. 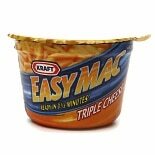 )7.75 oz. $1499$14 and 99 cents$0.79 / oz. 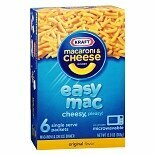 Shop Kraft Easy Mac Microwavable Macaroni & Cheese Dinner 6 Pack (12.9 oz. )12.9 oz. 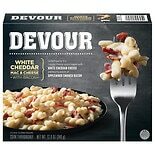 Shop Devour White Cheddar Mac & Cheese With Bacon White Cheddar Macaroni & Cheese With Bacon (12 oz. )12 oz.